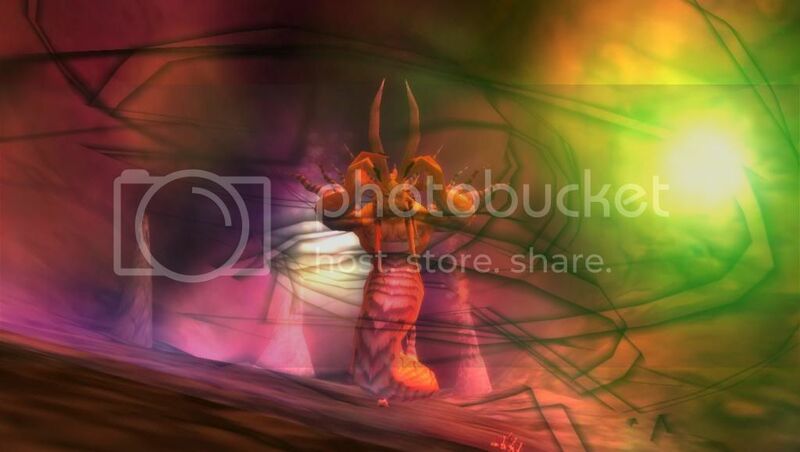 This entry was posted on Tuesday, September 10th, 2013 at 21:39	and tagged with Demon, Rainbow, Screenshot, world of warcraft, WoW and posted in Screenshots, World of Warcraft. You can follow any responses to this entry through the RSS 2.0 feed. « Is this Mercy, or just a different kind of Cruelty..? I can’t stop seeing those black swirls around him as him summoning a dress, this is amazing *_* Holding his arms up to get the low-cut look.